The International Law Firm of Michael R. Polin (www.polinlawfirm.com) has been engaged in legal, business and entertainment practice in the United States and International markets for more than 27 years. Attorney Michael Polin has been retained by numerous global companies that do business in China, Europe, and in the United States, and has acted in the capacity of chief legal counsel, trial attorney, executive management/CEO, business and financial consultant, deal-maker, investor, distributor and entertainment producer. The Polin Law Firm is experienced in multiple disciplines and most importantly, is a true gateway to successful business advice, company protection (transactional & litigation) and opportunity development in the world markets with a strong emphasis on China. Attorney Polin is an internationally recognized keynote speaker and sought after expert with a strategic focus on his China knowledge of culture, business development, and entertainment/media matters. He has acted as Special Counsel to government and private companies in China as well as Counsel to the CEO’s and Executive Vice Presidents of companies in Singapore, France, Belgium, Hong Kong, Switzerland, and the Philippines. In his world travels and business endeavors Attorney Polin has handled business and consultations concerning multi-national matters involving the International Commerce Commission (ICC) and International Arbitration Association in Paris, Zurich, Geneva, and throughout Asia. Attorney Polin has substantial cultural knowledge and skills that help him to understand and negotiate matters involving International laws and procedures. Attorney Polin has served as Delegate to the United States Department of Commerce Trade Missions and has been involved with promoting and developing e-commerce and high technology between the United States, China, and Asia. Attorney Polin has represented his companies as a keynote speaker in Nanjing, Shanxi, Beijing, Shanghai, and Hong Kong China as well as various other countries. Because the Polin Law Firm has International partners and strategic alliances, it works with the client to develop strategic business plans and partnerships for the United States and international markets the client envisions developing. The Polin Law Firm can provide integration advice concerning branding, advertising, distribution, sales, technical services, and customer relationship management. One of the Polin Law Firm’s key priorities is to build and support the process of getting the client’s products into the hands of customers, building mind and market share, customer relationships, and purchasing loyalty all through strategic market entry planning and execution. The Polin Law Firm specializes in and has a unique expertise in doing business with China. The “firsthand” day-to-day business skill sets, on the ground information, and relationship building the firm has developed throughout the last two decades of doing business in China, is knowledge unique to the firm. This knowledge is invaluable to any company serious about engaging the 1.4 billion consumers of the world’s largest and fastest growing market. In responding to the huge wave of international market demand to understand and learn about the China markets. 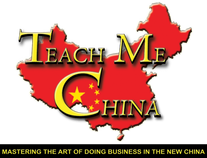 Attorney Polin has created a new first-of-its-kind brand of China educational materials entitled, “TEACH ME CHINA” (TMC). These TMC customized and unique DVDs/streamed products combined with world class workbooks offer educational and entertaining products for you to Learn, Create, and Implement your China business plans. 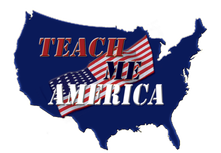 “TEACH ME CHINA” is an insider’s look at Attorney Michael Polin’s firsthand knowledge, and profound understanding of China and its unique culture. The essence of TMC is sharing and teaching the “how to’s” of doing business in China through interesting and informative content applicable to the attendees business. The product line includes over 200 hundred topics encapsulating many industries and issues directly applicable to China business. Attorney Michael Polin renown International relationships and specialized legal and business experience, make him uniquely positioned to deliver strategic partners, strategic alliances, and critical advice using knowledge very few people have, namely from the inside of the international markets the deals emanate from. This inside-the-market expertise is what makes Attorney Polin one of the most sought after keynote speakers, both here in the United States and abroad in the international forums.